Life Doctoring is therapy for serious and chronic illness. Its focus however, is on the patient’s felt or lived body and not just on the body seen as a complex biological machine. The Life Doctor understands the body as a living language of the human being and symptoms of illness as expressions of the patient’s life situation, life world and life history as a whole. 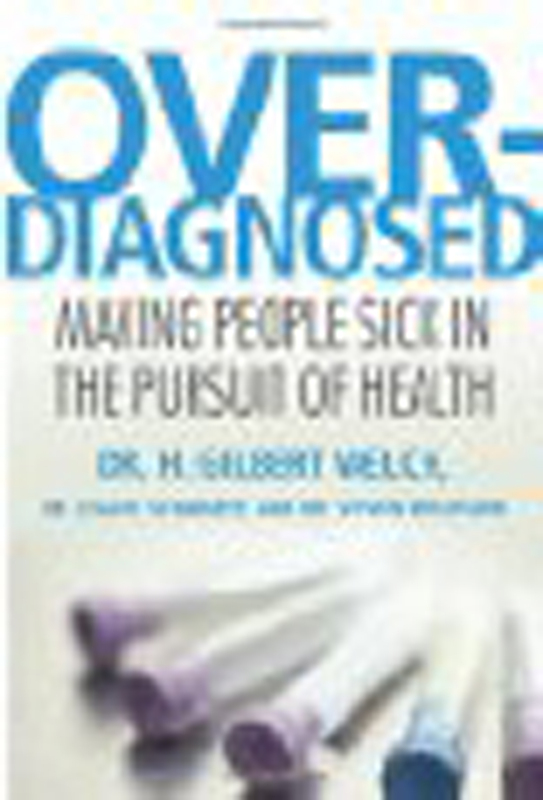 The practical starting point of Life Doctoring is therefore precisely the type of questions that doctors tend not to ask (see page …) relating to what was going on in the patient’s life preceding the onset of symptoms, what they stop or hinder the patient from doing, the thought and feelings that accompany their symptoms and how they make the patient feel – that is to say, in what way they alter the patient’s very sense of self – their body identity. At the same time, like any doctor, the Life Doctor must take a complete medical history of the patient – including all forms of testing and treatment they have undergone, what they have been led to believe about their condition and their experience of how they have been handled by doctors and other medical professionals. The Life Doctor must also be capable of in-depth research and understanding of purely biological and biomedical understandings of the patient’s condition. Like the General Practitioner, the Life Doctor is essentially a ‘generalist’ and not a specialist in these conditions. 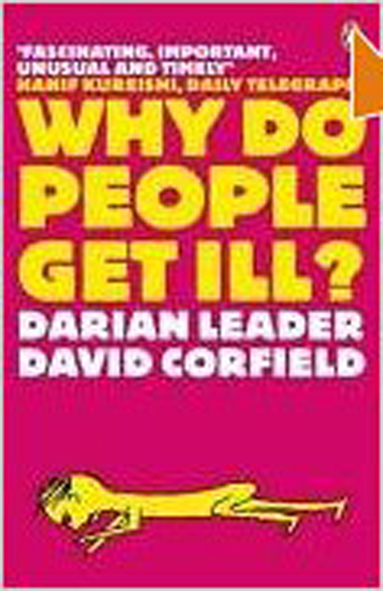 What distinguishes the Life Doctor however is their capacity to ‘read’ even the most detailed biological and biomedical accounts of the nature and ‘causes’ of an illness in a very different way from that of a biomedical physician. For often the very language and terminology used in biological medicine itself, and the biological processes they are used to describe, can themselves be highly symbolic. This applies even to the very names given to certain conditions – for example the diagnostic term lupus erythematosus – meaning ‘red wolf’ and associated with dermatological symptoms such as red patches on the skin. The patient in question first began to experience symptoms of lupus after coming off a treatment course of anti-depressants which lasted many years. The depression had followed the death of her grandmother, with whom she had a highly ambivalent relation. The symptoms of lupus had recently ‘flared’ again when it became a matter of financial importance to consider selling her mother’s house – which she now occupied together with her partner but which the grandmother – a family matriarch – had insisted should always remain in the family. As a woman, the patient felt responsible and sympathetic to the idea of maintaining a matriarchal line. On the other hand she harboured deep feelings of anger at the way her mother had always been treated by the grandmother. These unexpressed feelings of anger and rage prevented her from, in any way, mourning the death of the grandmother and led instead to years of affect-less depression – the lack of affect being intensified by the anti-depressants themselves. Even after coming off them however, the patient’s anger itself had never been given an opportunity to fully ‘flare up’. In consultations with the Life Doctor the patient gave a consistent impression of meek submissiveness – a strong parallel to her mother’s submissive position in relation to the grandmother. At the same time the patient also experienced a sense of guilt at the idea of selling the house passed down by her grandmother. For to do so would be a betrayal, not just of the grandmother herself, but of the patient’s own ‘feminism’, which had long found expression in an interest in Wiccan and other pagan forms of religiosity involving worship of the feminine aspect of divinity (which is sometimes called the ‘great mother’ – itself another term for ‘grandmother’). The Life Doctor’s analysis of the patient’s illness in the context of her life history was that it was essentially rooted in a conflicted ‘love-hate’ relationship to her grandmother. On the one hand, she identified with what the grandmother symbolised for her (identification being an essential element of ‘love’) whilst on the other hand hating her for the way she had aggressively mistreated her own mother and reduced her to a state of passive servility. This is where the medical terminology itself revealed a new symbolic layer. For from the perspective of Life Medicine, so-called ‘auto-immune diseases’ – in which the body attacks itself – are an expression of guilt. The patient punishes themselves physiologically for feelings of guilt by directing the anger behind this guilt inwardly (through the body seeing its own cells as foreign or ‘non-self’) rather than this anger being consciously directed outwardly towards its true object – in this case the patient’s grandmother. “There are several explanations ventured for the term lupus erythematosus. Lupus is Latin for wolf,and “erythro” is derived from ερυθρός, Greek for “red.” All explanations originate with the reddish, butterfly-shaped malar rash that the disease classically exhibits across the nose and cheeks. In various accounts, some doctors thought the rash resembled the pattern of fur on a wolf’s face. Anger and rage are of course associated with the colour red – and for a biomedical diagnosis of lupus erythematosus (red wolf) the appearance of thick red patches or blisters on the skin is highly significant. So much for the ‘red’ in ‘red wolf’ but what about the wolf – itself an aggressive and predatory creature. The Life Doctor’s interpretation of the patient’s illness came to clearest expression through an intuitive link between the biomedical name and nature of her illness, her life history – and their common relation to the story of ‘Little Red Riding Hood’. To the Life Doctor the patient appeared as ‘Little Red Riding Hood’. The question was then – who ‘ate’ her grandmother. Clearly not a wolf, but perhaps someone who felt agressive ‘h-ate’ for her i.e. a part of the patient herself. The patient’s inability to mourn her grandmother’s death might also therefore have been due to her feeling that her own suppressed feelings of hate were what killed her grandmother, thus compounding the patient’s guilt. In a nutshell then, the patient developed symptoms of the illness known as ‘red wolf’ by virtue of never allowing herself to affirm, identify with and live out – what the wolf in the story symbolised – not just her blood-red anger towards the grandmother but the aggressive side of herself as a whole. The key question for the Life Doctor then, was not how to ‘treat’ or ‘cure’ the lupus (it is regarded even in biomedicine as incurable) but rather an entirely different type of question. This was the question of whether and in what other ways besides flares of her symptoms – bodily ‘inflammations’ and infections – the patient could be helped to learn how to allow herself to consciously get ‘inflamed’ or ‘flare up’ with anger. This would allow herself to live out the ‘red wolf’ within her – rather than playing the role of ‘little red riding hood’ in relation to that wolf. The particular personal significance of the fable for this patient lay in the way the the way the wolf symbolised both the aggressive side of her grandmother and the patient’s own feelings of anger toward her. In a sense it could be said that the patient, like her mother, had quite simply ‘swallowed’ her grandmother – not in a consciously predatory, hostile or aggressive way but by simply internalising or taking the grandmother inside herself – where she became both object of chronic or recurrent auto-immune attacks by her own body – which simply embodied the patient’s dual and conflicted relation to the grandmother – both identifying with her as a part of herself and at the same time dis-identifying with her – leading the body to identify and attack her own cells as if they were ‘foreign’ or ‘non-self’ bodies. The unconscious, internal and biologically routed attack on her grandmother no doubt further exacerbated the patient’s chronic psychological guilt – thus creating a vicious cycle which maintained the symptoms of lupus – chronically recurrent symptoms. The bodily symptoms themselves also corresponded to a specific state of consciouness characterised by a felt sense of weakness and therefore in themselves symbolised a type of recurrent submission to the grandmother – even whilst biologically symbolising an attempt to dis-identify from her on a cellular level – thus rendering her own cells subject to auto-immune ‘attack’. Yet, as mentioned, the patient came to the Life Doctor in a specific life situation in which her guilt – and the aggressive anger behind it – were exacerbated by the conflict she felt at perhaps having to sell her grandmother’s house. This exacerbation leading to what biomedicine itself terms a ‘flare’ of the lupus. Biomedicine seeks causes for such flares in so-called ‘environmental triggers’, yet the ‘environment’ in question is in no way connected with the patient’s life world as a human being but instead reduced to a possible source of bacterial or viral infections. Thus the term ‘environmental trigger’ is in no way understood in Biological Medicine as it is in Life Medicine – as having essentially to do with particular life circumstances, dilemmas or events in the patient’s life world or ‘environment’ – even though the latter may of course render an individual more susceptible to inflammatory infections. Biomedical treatment of lupus symptoms takes the form of both anti-malarial and so-called ‘anti-inflammatory’ or ‘immuno-suppressant’ drugs. Both are an attempt to render the patient’s body biologically incapable of expressing – through auto-immune responses and bodily inflammation – deeply buried and inflamed feelings which, in the absence of direct vocal, emotional or behavioural expression, will naturally seek a way of ‘flaring up’ and of literally ‘coming to the surface’ through skin inflammations. Yet if prevented from doing so by biomedical drugs the danger is that the ‘inflammation’ will progressively begin to affect internal organs too. In the very language of biomedicine itself – for example by re-linking the purely bodily and medical denotation of terms such as ‘inflammation’ or ‘flare’ to their everyday use in describing emotional events or states of consciousness or ( ‘flaring up’ or ‘feeling inflamed’). In the physiological symptoms, functions and processes described in the language of bio-medicine (for example the language of immunology and of auto-immune disorders). In the individual patient’s lived experience of specific symptoms – as described in their own speech and as an expression of their lived or felt body. In the specific meaning embedded in the symbolic language of particular illnesses, organic functions and symptoms for each individual patient i.e. the way in which this ‘language’ is used as a form of highly individual speech by the patient. In contrast, psychoanalytic medicine has tended to seek standard underlying ‘meanings’ behind the symbolism of particular symptoms and illnesses – and to fit the story of ‘pathobiography’ of the individual’s illness into these. This is not to say that there are not general understandings that can be drawn from highly individual cases about the symbolic or linguistic meaning of particular organic disorders. 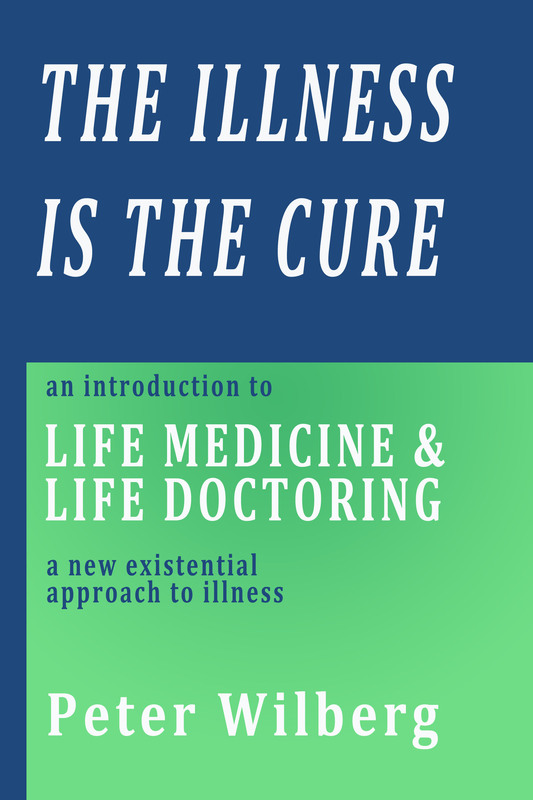 On the contrary, ‘Life Medicine’ – as a general understanding of illness – is also a body of knowledge that expands understanding of the symbolic character of organic functions and capacities through drawing from specific cases of ‘Life Doctoring’. Life Doctoring is not only an application of the basic principles of Life Medicine therefore, but the most important form of on-going research into the relation between language, life and illness. Yet as a practice, Life Doctoring is not simply a type of counselling or analytic ‘talking cure’. That is because its principal focus is not on causes and cures but on the meaning of a specific illness and specific symptoms for the individual patient. Just as importantly however, as a form of therapy its principal ‘instrument’ is not just a new body of intellectual knowledge and insights but – no less importantly – the Life Doctor’s own inwardly felt body. For it is only through this that the Life Doctor can come to directly sense and resonate with the underlying dis-ease that pervades the patient’s own inwardly felt body i.e. their own ‘lived body’. Cultivating the capacity to sense the felt inwardness of a patient’s body takes us to a level much deeper than intellectual insight or emotional empathy alone. For the individual’s lived body is essentially not a fleshly body of tissue and organs but the body of their own feeling awareness of themselves, other people and the world around them. As such it is made up of particular tones, textures and tissues of awareness – each with their own basic tones of awareness or ‘feeling tones’. Like audible vocal or musical tones these silent feeling tones or tonalities of awareness have their own distinctive qualities such as tonal pitch and tone ‘colour’, brightness or darkness, warmth or coolness, lightness or heaviness, flatness or sharpness, softness or hardness, clarity or dullness, hollowness or resonance, harmony or dissonance. They are not just echoed in vocal and music tones but also embodied in cellular, organic tone and muscular tone. Felt tonalities of awareness or feeling tones are what not only tone and colour our moods but also determine, in a quite literal sense, the ‘sound-ness’ of our health. Particular ‘elemental’ qualities of feeling tone however – qualities such as fiery vitality, airy spaciousness, watery fluidity or earthly solidity may be more or less dominant or lacking. Thus, in the case example in question, the Life Doctor sensed a deep quality of warmth but a far lesser degree of both fieriness and solidity in the patient’s overall feeling tone –– an absence echoed also in the corresponding qualities of the patient’s tone of voice. Part of the therapy in the case example referred to therefore consisted in ‘voice training’ – teaching the patient to introduce a greater solidity, strength, amplitude and quality of fiery vitality to her voice tone. This was not done though any standard methods of ‘voice coaching’ but through first attuning her to particular qualities of her own inwardly heard speech – her ‘inner voice’ and its tones – and then imparting these tones of her inner voice with particular qualities of feeling tone, volume, fullness etc – all before vocalising them audibly. This particular method of Life Doctoring is one of many designed to amplify the patient’s awareness of silent inner tones of feeling precisely by giving them outer expression – whether through the vocal organs and vocal tones or silently, through their face and eyes. The basic methodological principle at the root of all these practices is the principle of ‘morphic resonance’, a term coined by Rupert Sheldrake but which Life Medicine understands in a very specific way – namely that giving expressive outer form (morphe) to particular feeling tones (in particular through the voice, face and the look in our eyes) we both amplify and bring ourselves into greater resonance with these feeling tones – and thereby with our lived body as such. This in turn allows us to learn to consciusly modulate our overall mood or tone of feeling in a similar way that we modulate our tone of voice – by first sensing the tones we wish to make audible as silent tones of feeling. From the perspective of Life Medicine, the individual’s visible body speech (silent and vocal) is a further and fundamental dimension of what Freud called ‘organ speech’ – for it can be used to give form to, amplify and/or add to a patient’s awareness of otherwise weaker or wholly unfelt dimensions and qualities of their feeling awareness and its body – the lived body. Here ‘shape’ can refer to anything from a particular posture, tilt of the head, look in the eyes or indeed the smallest feature of a person’s facial expression and the look in their eyes. Perhaps the single most innovative and advanced method of Life Doctoring – and one that requires much training is practiced through extended, close-up eye contact with the patient. Here the Life Doctor uses the motility and expressiveness of his or her own face and eyes to seek for and precisely mirror particular features that he sees and senses in the patient’s face and their eyes – features that no matter how subtle or fleeting can be seen and felt to give expression to deep and deeply significant feeling tones. Attune to particular tones and qualities of feeling in the patient by consciously observing and intentionally mirroring them back to the patient. Amplify both their own and the patient’s lived experience of these tones and qualities of feeling – thus bringing the patient into greater contact with them. Transform the patient’s experience of these tones and qualities of feeling, in particular by moving from a stage of mirroring the patient’s ‘emotional’ feelings to mirroring these back purely as tones of feeling – comparable to purely musical tones and their sensuous qualities. This three-stage method of Life Doctoring I call ‘Transformative Resonance’. Mirroring this ‘anger’ in a transformed way i.e. not merely as an ‘emotional’ feeling but as a purely sensuous feeling of power, strength and fiery vitality arising from the very core of the patient’s being. Consciously and intentionally imparting to the patient’s lived body the Doctor’s own bodily sense of the patient’s elemental ‘core’ of fiery vitality, strength and potency. “Facing is concerned with recognition, with how we see people, with the qualities of lumination that develop when people really face each other and with the forms of illumination that flash out of such contact. Insight develops in step with outlook. The Life Doctor must be trained in many highly subtle and multi-faceted arts or ‘yogas’ of bodily sensing and residence – all based on the principle of Morphic Resonance and the practice of Transformative Resonance. Through acute sensitivity not just to the patient’s voice, but to the very tone of their words and language itself – and through practicing a subtle and sophisticated ‘yoga of the face of eyes’ through mirroring and ‘transformative resonance’ – the Life Doctor can learn to both see and feel their way into the lived body of the client – quite literally experiencing the eyes as ‘windows of the soul’ and both the patient’s face and the look in their eyes as the expression of a particular ‘shade of consciousness’ or feeling tone. It is in this way that the Life Doctor can gain a tangible sense of those tones and qualities of feeling not fully embodied by the patient, but instead ‘somatised’ – given symbolic expression through their symptoms or organic illness. What distinguishes Life Medicine and its therapeutic methods from those of psychoanalysis is that psychoanalytic theory understands illness symptoms only as symbolic ‘somatisations’ of feelings that the patient is not capable of signifying through verbal speech or symbolising through mental and dream imagery. ‘Somatisation’, in other words, is understood solely as a failure to give expression to unconscious feeling in words – hence the emphasis of psychoanalysis on verbalisation and verbal interpretations of the symbolism of dreams and mental images. In contrast, Life Doctoring understands ‘somatisation’ as a failure to find ways to consciously embody feelings through the patient’s overall body language and speech, of which verbal language speech is itself but one dimension. It is not just through some form of emotional illiteracy or ‘alexithymia’ as it is called, but also and above all through lacking a rich and expressive enough body language by which to ‘speak’ our feelings that what Freud called ‘organ speech’ is forced to take the form of illness symptoms or unconscious ‘somatisation’. It is not just that which we cannot express in words but above all that which we cannot expressively embody that we ‘somatise’. Thus, referring back to our case example, it is not just someone who cannot articulate a feeling of anger in words but principally someone who cannot simply show anger through their body speech – their posture, face and eyes – who is in greater danger of turning that anger inwards or losing contact with it. Indeed someone may well be capable of verbally reporting a feeling of anger (or any emotion) without fully feeling it. For it is through expression in the ‘shape’ or form of their body speech that awareness of feelings (and of different tones of awareness or ‘feeling tones’) are not only given form but also amplified through resonance. What is called ‘emotional illiteracy’ – to whatever degree it is evident and however important it is in itself – almost invariably pales in extent before the poverty of the average individual’s body language and the limitations of their most basic ‘alphabet’ of postures, gestures, vocal tones, facial expressions and ways of communicating tones of feeling through the look in their eyes. This impoverishment of body speech and body language is in itself a form of generalised pathology – since it makes almost unavoidable the expression (logos) of a felt sense of dis-ease (pathos) through illness i.e. through ‘pathological’ bodily or behavioural symptoms. To what degree, on a scale of 1 to 10, can you feel from within your body as a whole – from top to toe – including not just your head or upper body, but your entire lower body below the waist, including your legs and reaching down to the soles of your feet? To what extent, on a scale of 1 to 10, are you aware of the entire surface skin and musculature of your upper body – including the surface skin and musculature of your face and eyes, of the surface of your entire head – top, front, back and sides, and of your trunk – front, back and sides. On an imaginary vertical line extending within you from the crown of your head to the soles of your feet, point to where you feel your breathing is centred. On the same imaginary line point to where you feel your very sense of self is centred. To what degree, on a scale of one to ten, do you feel yourself to be aware, not just of your body but of the entire space surrounding it in this room and all it contains? Using your arms, indicate both the size of any clear and empty inner space or spaces you feel enclosed by your body and also where you feel that space or those spaces – whether just in your head, your upper body, or in your trunk as a whole including your abdomen. If you feel no clear and empty spaces at all within you, just say so. Using both your arms to indicate a sphere or space around your body, show to what extent you feel yourself extending into space in a way that reaches beyond the boundaries of your skin. The answers sensed and given to these questions tell the Life Doctor about the specific ‘anatomy’ of the patient’s lived body, as well as providing suggestive keys to the patient about what it means to cultivate feeling awareness of their lived body as a whole – a body which is not enclosed or bounded by one’s skin but embraces all the spaces within and around it. Such whole-body awareness is a foundation for well-being as well as for the patient’s own capacity for self-doctoring. Grounding – recovering and sustaining whole-body awareness – in particular through heightened awareness of one’s entire lower body below the waist as well as one’s head and upper body. Centering – learning to seat or centre both one’s breathing and one’s very sense of self within the lower abdomen – this being both the spiritual and physical centre of gravity of the human being i.e. the centre of both their lived body and their physical body. Opening – using one’s upper body surface to sense the entire space surrounding one’s body as a whole and all other bodies within that space. In this way coming to experience one’s entire body surface as ‘all eye’ and as a totally porous membrane – one through which one can experience oneself as literally breathing in one’s awareness of the light and space around one. Facing – giving form to a felt bodily sense of dis-ease through the look in one’s face and eyes, thereby both intensifying that sense of dis-ease and also coming to feel it as an all-pervasive state of consciousness i.e. an underlying mood, feeling tone or texture of awareness that can be actively bodied – rather than ‘somatised’ in the form of one or more localised bodily sensations or symptoms or organic disturbances.